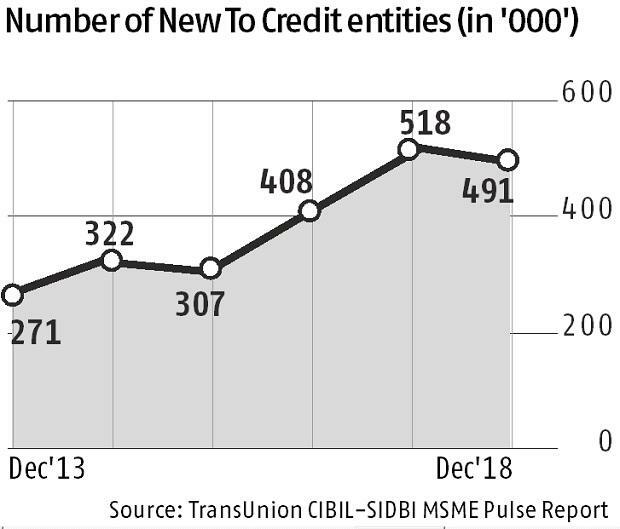 Aggregate micro small and medium enterprise (MSME) lending, for both entities and individuals, has grown at 19.3 per cent in the past five years, according to a report by Transunion CIBIL and Small Industries Development Bank of India (Sidbi). The total balance outstanding has increased from Rs 10.4 trillion in the quarter ended December 2013 to Rs 25.2 trillion in the quarter ended December 2018. 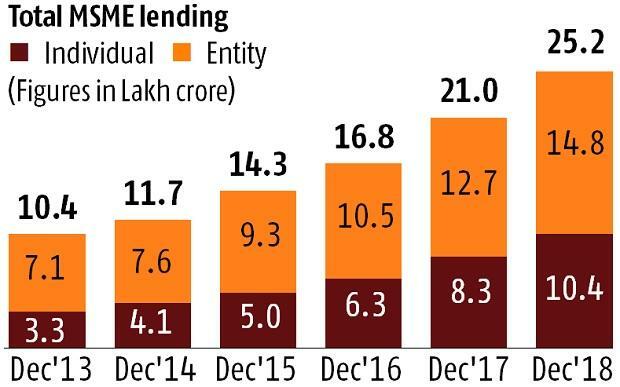 This was a compound annual growth rate (CAGR) of 19.3 per cent, powered by a 15.7 per cent CAGR of lending to entities and 26.1 per cent of business lending to individuals. 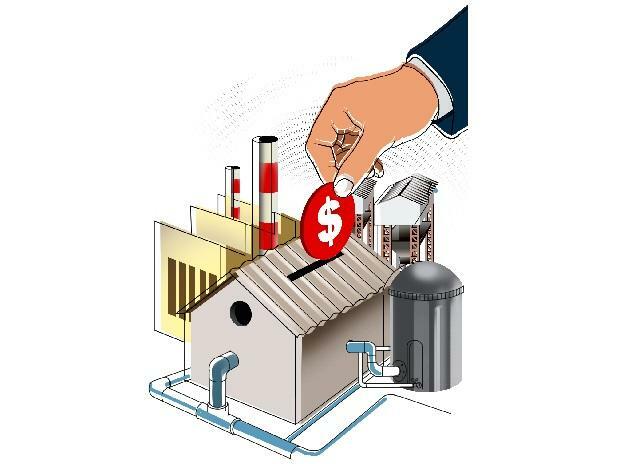 The comparatively higher rate of business lending to individuals has translated into a major shift in the composition of the MSME lending industry in favor of individuals. 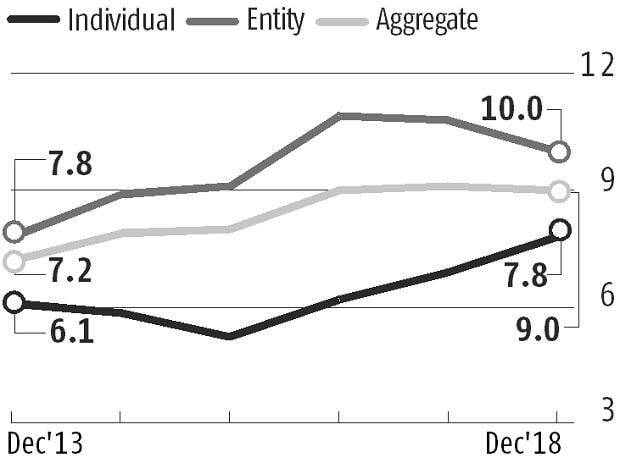 The MSME segment, where NPAs had peaked in the previous few years, is starting to see a fall in NPA ratios. 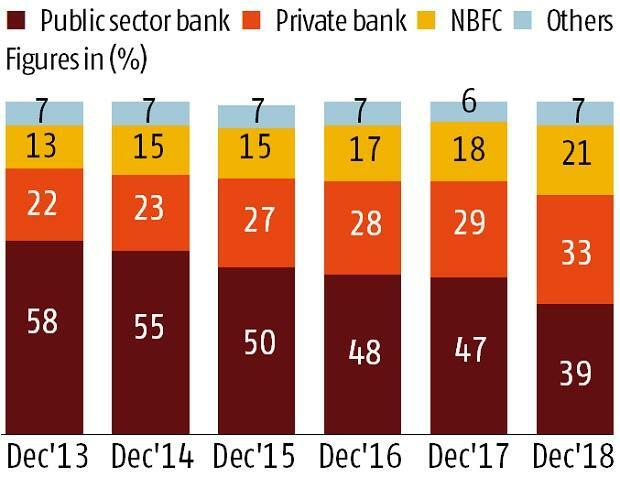 While aggregate and entity NPA ratios are on the decline, NPAs in MSME loans to individuals continue to rise. The ongoing trend of increasing formalisation, as well as financial inclusion, implies that the number of new MSMEs has been consistently increasing across geographies, said the report.